More people have an iPhone XR than an XS, and soon the XS Max. 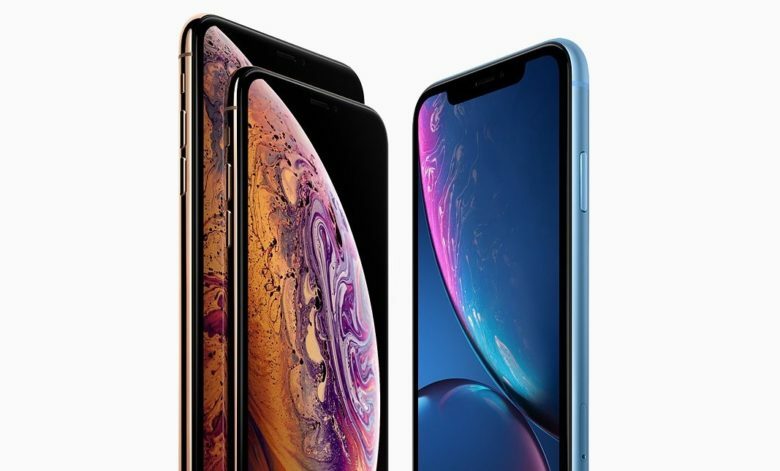 The iPhone XR is Apple’s newest handset but more of its units are already in use than the iPhone XS which launched two months earlier. And the XR is on course to pass the XS Max in the near future. That said, all three are still trailing the installed base of 2017 iOS models, especially the iPhone X. Yesterday, the XR was used by 3.02 percent of all iPhone users, while the XS was used by 2.88 percent. XR usage first surpassed the XS last week. These figures come from market-research firm Mixpanel who tracks how many iPhones of which type are currently in use. As the chart from this analyst firm shows, the growth track for the iPhone XR is steeper than that of the XS Max. If that trend continues, the XR will also pass that larger, more expensive model in the coming weeks. This isn’t the first time we’ve heard the iPhone XR is Apple’s best-selling model. It’s also been unusually successful at convincing Android users to switch to iOS. 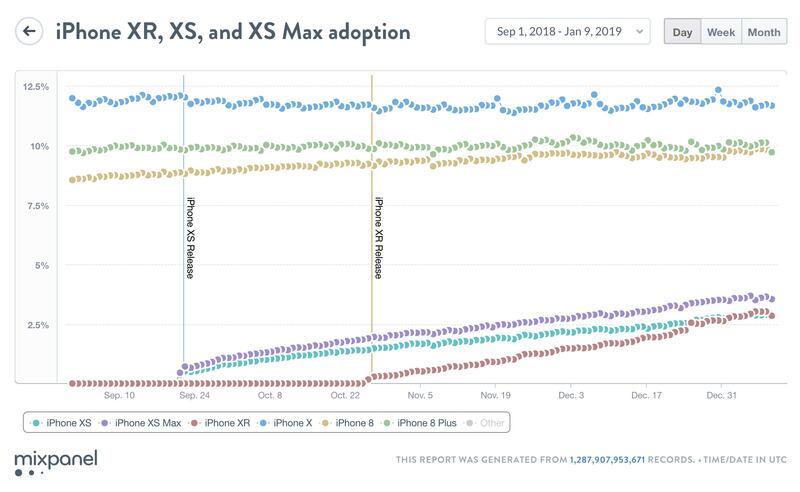 Growth in iPhone XR usage is stronger than any other iPhone. The iPhone X was a huge success for Apple, and it’s still the most used iOS handset by a wide margin. It was the device used by 11.71 percent Apple fans yesterday, holding onto a place it’s held for many months. The X was discontinued when the XS series debuted but reportedly is back in production. The second most used Apple model is the iPhone 8 Plus with a 10.10 percent share, followed by the iPhone 8 at 9.82 percent. That said, the 8 may soon pass ther 8 Plus.